Let’s be clear about this. There are still several significant question marks hanging over what exactly Firaxis are eventually going to churn out onto my hard drive. For starters there’s the parallel console/PC development issue, which means they’re going to have to make some concessions to the consoles even if it’s just in terms of controls and UI. For seconds, Firaxis’ prestige is somewhat dented after the bug-ridden release of Civ V –and whatever you might think of the game now I think everyone agrees that it was in a sorry state on release – while their previous updates of classic Microprose strategy games haven’t exactly had the best results. Even Pirates!, the Good One, suffered in comparison to the original because Firaxis failed to adequately disguise the fact that it was essentially a collection of minigames this time around. 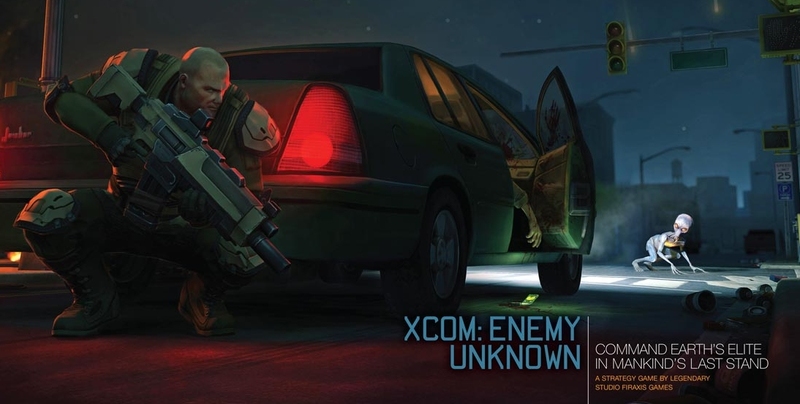 Based on their track record of the past few years their true update of Enemy Unknown is by no means guaranteed to be a surefire hit. But then there’s this. Even though the cynical side of me is screaming that this is exactly the sort of marketing gambit you’d open with given the amazing level of grumpiness die-hard X-COM fans displayed over the FPS version, even though I can probably find a similar video of Jon Schafer saying the same kinds of things about Civilization V, I can’t help but be somewhat enthused that these three guys, at least, seem to hold Enemy Unknown in high regard and – far more importantly – cite many of the facets that made it such an engrossing strategy experience as critical gameplay elements. It gives me some hope that the final product will be something regarded as being a worthy continuation of the series a la Apocalypse, even if it doesn’t quite manage to bottle the same lightning the original did. So my concern is, the new Colonization shows that Firaxis aren’t very good at updating an IP while retaining its charm. I can’t say I blame them – as a major publisher they can’t just do a straight UI-overhaul, but adding and subtracting mechanics risks disturbing the ecosystem. The thing is I really don’t think a straight UI overhaul would even work. There’s actually a lot wrong with X-COM; it’s an amazing game but it’s not like it’s this Renaissance masterpiece that brooks no improvement, especially with the advances in technology making new gameplay mechanics available that weren’t possible back when a developer’s major concern was making sure their program was small enough to fit on a few floppy disks. I think the best thing to do is to accept that whatever they make will be somewhat diminished compared to the original because they are going to introduce some bad ideas when they update the game for the 2010s. That’s probably inevitable. However, that doesn’t preclude them making a flawed-but-worthwhile iteration of the series. I’ll happily take an Apocalypse over an Aftershock any day.